MARYSVILLE JOINT UNIFIED SCHOOL DISTRICT. On June 18, 2013, Student filed a due process hearing request (complaint) with the Office of Administrative Hearings (OAH), State of California, naming Marysville Joint Unified School District (District).1 The matter was continued for good cause on June 26, 2013. On July 11, 2013, OAH granted District’s motion to bifurcate this hearing so that OAH could first address Student’s request that the two-year statute of limitations be tolled to permit OAH to consider Student’s claims which began with the 2009-2010 school year. 1Twin Rivers Unified School District was also named as a party, but was dismissed by Student on August 23, 2013. 2 The case was continued by the ALJ on August 26, 2013, to permit the parties to obtain necessary juvenile court records pertaining to Student pursuant to Welfare and Institutions Code section 827. 4 During the time period at issue, Student reached the age of 18, and attained the right to make educational decisions on her own behalf. Therefore, Student is specifically added as a person entitled to make IDEA claims in this matter on her own behalf. 5 Education Code section 48853 permits a student in foster care to attend her “school of origin,” under certain conditions. 6 Transitional housing programs are for youth who are at least 16 years of age and dependents or wards of the juvenile court. (Health & Saf. Code, §§ 1559.110-1559.115.) Youth who are dependents or wards of the juvenile court are enrolled and given training designed to help them pursue educational opportunities and/or explore work options. These programs also provide them with independent living skills. Richard Ruderman and Daniel Shaw, Attorneys at Law, represented Student. Student attended portions of the hearing and testified on November 6, 2013. The holder of Student’s educational rights (Holder) attended the hearing on all dates. Paul Gant, Attorney at Law, represented District. Toni Vernier, Director of Special Services for District, attended the hearing on behalf of District. A continuance was granted for the parties to file written closing arguments and replies to those arguments, and the record remained open until December 19, 2013. Upon timely receipt of the written closing arguments and reply briefs, the record was closed and the matter was submitted for decision on December 19, 2013. Is Student entitled to toll the two-year statute of limitations for the filing of special education claims pursuant to Education Code section 56502, subdivision (l), and pursue claims beginning with the start of the 2009-2010 school year, or from some other date thereafter? In California a special education student, or the parents of that student, has a right to file a complaint against a school district pursuant to the Individuals with Disabilities Education Act (IDEA) for acts or omissions committed by the district for two years after the student or parents knew or should have known the facts surrounding the claim.4 Education Code section 56502, subdivision (l), allows the two-year statute of limitations to be extended when the school district has either misrepresented to the parents or student that it had resolved issues that led to a claim, or has withheld information from the student or parent, and the misrepresentation or withholding of information has prevented the student or parent from filing a timely claim. Student was a dependent of the juvenile court during the time at issue, and contends that she is entitled to pursue all claims against District from the beginning of the 2009-2010 school year because District failed to follow certain procedural requirements. These include District permitting an unauthorized person to act as Student’s “parent” in the individualized education program (IEP) process, not permitting her to attend her “school of origin,” as required by Education Code section 48853 et seq., and not giving her a choice of educational placements at an IEP team meeting held in September 2009.5 Further, Student claims that District misrepresented high school graduation requirements. District claims that it did not commit acts or fail to do things it was legally required to do that constitute grounds for suspending the two-year statute of limitations. Although Student argues that numerous “procedural violations” by District are grounds for tolling the two-year limitation period, these specific acts or omissions are not the kind that establish misrepresentation or withholding information by District. Therefore they are not grounds for extending the statute of limitations because they did not prevent Student from the timely filing of a claim. However, based on the evidence and the applicable statutory and regulatory laws, Student may raise claims beginning on April 6, 2010, the date Student reached the age of majority. This is because District, apparently believing it had exited her from special education in February 2010, did not provide Student with the notice of procedural safeguards, and counsel her about now being her own holder of educational rights because she had turned 18. 1. Student is 22 years of age. She lives with Holder. During the 2009-2010 school year, she resided within the boundaries of District at a transitional housing program operated by a foster family agency, Environmental Alternatives, at the Lake Francis Resort (Lake Francis), located in Dobbins, California.6 At that time, Student was a dependent of the Yuba County Juvenile Court, and had been for many years, and her biological parents‘ rights had been terminated. However, there was no evidence that the Juvenile Court ever made any findings concerning her educational rights, or specific assignment of those educational rights to anyone. 2. It is unknown when Student was found eligible for special education and related services, although it was several years before the time period at issue. Before Student was placed in the transitional housing program, she was not a legal resident of District. She had previously resided in group homes or residential treatment programs in other school districts. For the 2008-2009 school year, Student attended a nonpublic school called Northern California Preparatory Academy pursuant to an IEP that described her as eligible for special education as a student with emotional disturbance. 3. In August 2009, Student’s dependency social worker talked to Student about the possibility of being placed in the transitional housing program located at Lake Francis Resort (Resort). The Resort was owned by Environmental Alternatives, and operated as a facility where foster families certified by the agency could come for vacation and recreation. Students at the Lake Francis transitional housing program (Lake Francis) worked at the Resort. Student agreed to this placement, was interviewed by the program, and accepted. 4. All of the students at Lake Francis were enrolled in an independent study program operated by District. District provided textbooks related to the courses in which students were enrolled, and once a week a credentialed general education teacher reviewed their previous week’s work, and gave them new assignments. The students also earned credits toward high school graduation for many of the activities and work they did at the resort, such as gardening, housekeeping, and cooking. 5. After being accepted into the program, Student lived for four to six weeks, or more, in a house on the grounds of Lake Francis with an employee of Environmental Alternatives, Donna Simmons. Ms. Simmons’s title was “mentor.” Subsequently, Student was assigned to a cottage on the same grounds where she either lived by herself or with a roommate. However, the mentor was responsible for arranging and transporting her to medical appointments, counseling appointments, and other activities, meetings, and appointments off the Lake Francis campus. 6. When Student arrived at Lake Francis, Ms. Simmons believed that as a mentor she had legal authority to act as a special education student’s “parent” at an IEP team meeting, because that was what Environmental Alternatives management told her. It was not until several months later that Environmental Alternatives management informed her that she could not act as a “parent” at an IEP team meeting, although it is unclear why or when she was told that. Further, no one notified District that “mentors” were no longer authorized by Environmental Alternatives to do this. 7 Lauren Maxwell now uses the name of Lauren Inouye, but will be referred to in this Decision by her name at the time at issue. 7. On September 2, 2009, a District school psychologist, Lauren Maxwell, met with Tara Clark, the general education teacher for the independent studies program, and Ms. Simmons to develop a new IEP for Student.7 Ms. Maxwell was assigned by District to be Student’s special education case manager. It was unclear whether Student attended any part of this meeting. Ms. Simmons signed Student’s name in the section of the IEP that identified meeting participants. Ms. Simmons signed consent to the IEP as Student’s “parent.” Ms. Simmons was given the notice of procedural safeguards by Ms. Maxwell. There was a section of that IEP that indicated Student also received a copy of the notice of procedural safeguards which parents of students under the age of 18, or other holders ofeducational rights, are to be given at various times. Although Student signed acknowledgement that she received this document, she had no recollection of receiving it when she testified, and no finding is made that she received the notice of procedural safeguards at this time. 8. On February 10, 2010, another IEP team meeting was held for Student. The notice for this IEP team meeting indicated that the purpose of the meeting was to exit Student from special education. This meeting was attended by Ms. Maxwell; Ms. Simmons; Ms. Clark; Anne Garrison, a social worker for Environmental Alternatives; and Student. District stated in the notice of meeting sent to all participants that the purpose of the meeting was to exit Student from special education. District had not conducted any formal assessments of Student before making the decision to conduct this IEP team meeting. 9. At the February 2010 IEP team meeting, the participants determined that Student appeared to be on track to graduate from high school at the end of the 2009-2010 school year. The determination that Student was on-track to graduate was based in part on a student transcript, created by Rocco Greco, principal of the independent studies program, that listed all of the coursework completed by Student both in the District and at nonpublic high schools she had attended elsewhere. The transcript reported grades and assigned credits for all this work, as well has her studies in District’s independent studies program. 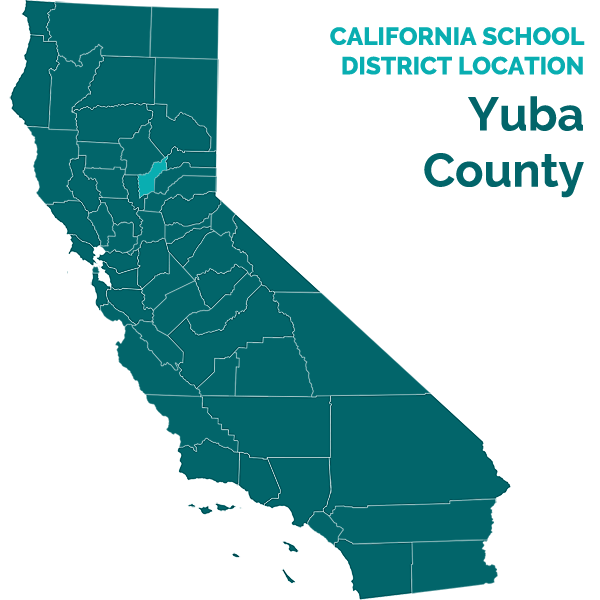 A statement was made at that meeting that Student had passed both the math and English language arts portions of the California High School Exit Exam (CAHSEE). However, Student had passed the English language arts part of the CAHSEE at her former nonpublic school, but had not yet passed the math portion. 10. California law requires all California high school students to pass standardized testing in English language arts and math in order to graduate from high school, along with sufficient credits in specific areas of study. The test is called the CAHSEE. Due to litigation, against the California Department of Education (Department) on behalf of special education students and their parents, during the 2009-2010 school year, the Department allowed special education students to be exempt from taking the CAHSEE. These special education students could still earn a high school diploma without taking and passing the CAHSEE if they met all other requirements for graduation. 11. The IEP stated, “[Student] has met all requirements but is still finish [sic] up credits in required areas of civics, English, economics and science. As soon as the credits are completed [Student] will be graduating from her high school independent study program and will be exited from special education.” The consent section of the IEP was not signed by anyone at the IEP team meeting, nor anyone after that meeting, although District personnel testified that they believed Student was exited from special education at this IEP team meeting. District claimed that failure to obtain a signature consenting to the IEP was an “oversight.” However, Student continued to be a special education student, in spite of District’s belief that she was not. 12. Student’s 18th birthday was April 6, 2010. District did not convene a meeting when Student had her 18th birthday that involved Student, her “parent,” and a District representative to explain to Student that she now had the new role of holding her own educational rights, and what those rights were.8 Nor was Student given any notice of IDEA procedural safeguards at this time, or thereafter during the 2009-2010 school year. This failure was established through the testimony of Ms. Maxwell, who, as Student’s special education case manager, would have been the logical person to meet with Student and her ―parent at the time of Student’s birthday, and provide Student with the notice of procedural safeguards and an explanation of what they meant. Ms. Maxwell, who seemed rather nervous at times during her testimony, testified that she only met Student twice: at the IEP team meetings on September 2, 2009, and February 10, 2010. 8 Ms. Simmons left her employment as a mentor at Lake Francis during the spring of 2010, and was replaced by another mentor. 9 Unless otherwise indicated, the legal citations in the introduction are incorporated by reference into the analysis of each issue decided below. 13. Student received her high school diploma from District in June 2010. Although there was evidence that District gave Student a copy of the notice of procedural safeguards at the IEP team meeting on September 2, 2009, District did not meet statutory requirements that Student be given those rights upon reaching the age of majority, as will be discussed in the Legal Conclusions section below. 14. Holder met Student when she became employed as a mentor at Lake Francis, in December 2010. Student continued to live at Lake Francis in the transitional housing program until July 2012, when Holder ceased her employment at Lake Francis. Student has lived with Holder since that time. Both Holder and Ms. Simmons testified very credibly that Student lacked the necessary skills and resources to live independently when they worked with her at Lake Francis. The evidence, including Student’s affect and demeanor when she testified, as well as Holder’s testimony, established that she has not acquired those skills since then. 11 Student argues that Schaffer v. Weast, supra, 546 U.S. 56, allows the burden of persuasion to be shifted to District when the issue concerns tolling the statute of limitations, and also cites a Pennsylvania case, J.L. ex rel. J.L. v. Am bridge Area School Dist., (W.D. Pa. April 27, 2009, Civil Action No. 06–1652) 2009 WL 1119608 (Ambridge). In Schaffer v. Weast, supra, 546 U.S. 56, at p. 58, Justice O‘Connor states “Decisions that place the entire burden of persuasion on the opposing party at the outset of a proceeding—as petitioners urge us to do here—are extremely rare. Absent some reason to believe that Congress intended otherwise, therefore, we will conclude that the burden of persuasion lies where it usually falls, upon the party seeking relief.” (Id. at 58.) Because Ambridge is a Pennsylvania case it is not binding authority, nor is its reasoning persuasive. 7. Student contends that Ms. Simmons was not legally able to consent to the September 9, 2009 IEP, and District should have appointed a surrogate parent to represent her at that IEP meeting. In addition, Student claims numerous procedural violations when the September 2009 IEP team meeting was convened. These violations include not telling Student that she could continue to attend her former nonpublic school, and that she was not obligated to agree to independent study. Therefore, Student believes that the statute of limitations should begin to run from the beginning of the 2009-2010 school year. 8. District disputes that the statute of limitations should be extended to the beginning of the 2009-2010 school year, or extended at all. District argues that it reasonably believed that Ms. Simmons had the legal status of a “parent” pursuant to the Education Code, and therefore had the legal authority to consent to the IEP. Further, District asserts that it had no independent duty to investigate whether or not she could act as Student’s parent for IEP purposes. District contends that it provided Ms. Simmons and Student with all proper notices and documents at the time of that IEP team meeting, and thus the meeting was procedurally correct. Finally, District argues that even if Ms. Simmons could not legally make educational decisions on behalf of Student, it had no way of knowing that, and therefore was not obligated to appoint a surrogate parent to represent Student. 12 Statutes and regulations in effect during the 2009-2010 school year have been reviewed and are controlling in this Decision. 10. Education Code section 56055 specifically uses the word “mentor,” as well as “foster parent” in describing individuals who can consent to IEPs for foster children in their care. Therefore, Ms. Simmons was legally authorized to sign the IEP. 11. Student claims that various procedural errors by District at the September 2009 IEP team meeting are “misrepresentations” of the law which extends the time to file a claim. However, procedural violations in and of themselves, unless directly related to a misrepresentation or withholding of information of the type that could extend the time period cannot serve to extend the filing period as will be discussed below. The procedural violations Student claims occurred in the IEP process in September 2009, are facts that Ms. Simmons knew, or should have known at that time, since she was given the notice of procedural safeguards at the September 2009 IEP team meeting. Accordingly, Student cannot extend the statute of limitations back to the beginning of the 2009-2010 school year. 12. Student claims that District told the IEP team participants at the February 2010 IEP team meeting that Student had passed the both the English language arts and math portions of the CAHSEE, when she had not passed the math portion. Based on this alleged misrepresentation, Student argues that District led the participants to believe that she should be exited from special education because she would have met the high school graduation requirement by the end of the school year. Student also mentions in passing that there was no consent to the IEP that purportedly exited her from special education in February 2010. District argues that failure to have a “parent” sign that IEP was an “oversight” that should not invalidate District’s action in exiting her from special education. 15. District notified all IEP team meeting participants that the purpose of the February 2010 meeting was to exit Student from special education. Therefore, it was imperative for District to assess Student prior to exiting her, since she was not due to graduate from high school until June 2010. Student was not assessed, but District believed she was exited from special education at the conclusion of the February 2010 IEP team meeting. 16. It is irrelevant that District told the IEP team that Student had passed both portions of the CAHSEE. Although it is unknown what date the Department granted permission for special education students to be exempted from taking the CAHSEE for the 2009-2010 school year and still graduate, provided all other graduation requirements were met, the evidence established that this occurred before the end of that school year. This alleged misrepresentation at the February 2010 IEP team meeting does not extend the statute. 17. Far more important is the fact that the IEP did not exit Student from special education, although District seemed to believe this, and acted as though it did, even though the IEP stated that she still had courses to complete before she could do so. Further, at this time District was purportedly exiting Student from special education merely based on a transcript review, not on the results of assessments it had conducted, or assessments conducted by other providers in the past. And no one signed consent to the IEP. Failure of District to have signed consent to exit Student from special education in February 2010, and failure to assess her before doing so (or to consider other assessments) meant that following that IEP team meeting, Student was still a special education student, with specific rights which District was obligated to inform her of when she turned 18. This included providing her with the notice of procedural safeguards, and explaining to her and her “parent,” a Lake Francis mentor, her new responsibilities in the IEP process. 18. Student, in her written closing argument, mentions in passing that when she turned 18, she was not provided with the notice of procedural safeguards, and this was indirectly corroborated by Ms. Maxwell. Nor were Student and her “parent” informed that Student now held her own educational rights. District does not address this issue at all in its closing argument and reply to Student’s closing argument. 20. In a case of first impression, D.K. v. Abington School District (3d Cir. 2012), 696 F. 3d, 233 (Abington), the Third Circuit Court of Appeals found that in a case where a student claims that the statute of limitations for filing a case must be tolled, certain requirements must be met. Where information has been withheld: 1) the information withheld must be information the district is required to give the parent (or Student in this case); and 2) that the withholding of required information caused the party to let her rights lapse. In such a case, the withholding of information will be grounds for extending the statute of limitations. Although Abington is not a Ninth Circuit case, it appears to be the only case which establishes such a clear test for determining whether the statute of limitations can be tolled when information is withheld by a school District, and its analysis is persuasive. Accordingly these rules will be used in the analysis of what occurred, or did not occur, when Student turned 18. 21. The evidence established that Student was not given the notice of procedural safeguards, and other required information as mandated when a special education student reaches the age of majority. Student turned 18 on April 6, 2010. 22. Even though District had not received the requisite signed consent to the IEP which purportedly exited Student from special education in February 2010, or conducted or considered previous assessments of Student, it still believed Student was exited from special education at this time. This was in spite of the fact that the IEP itself contains language that exit from special education was dependent upon Student completing necessary course work that was still incomplete. Because District presumably believed it had exited Student from special education in February, it believed it could ignore the requirements of Education Code section 56041.5, and did so. Therefore, the first part of requirement in Abington is met; required information was withheld from Student by District, i.e., provision to Student of the notice of procedural safeguards, and a meeting with her and her putative parent to explain what it meant. As a result of this District failure, Student was deprived of the right to pursue her own special education claims once she reached the age of majority. 23. It is quite likely that if Student had been given the notice of procedural safeguards and had her special education rights explained to her as required by Education Code section 56041.5, both she and/or Lake Francis staff, realizing that she did not have the skills to live independently, could have filed a complaint with OAH within the requisite two-year period. Therefore, the evidence established that the second requirement from Abington is met, i.e., that the withholding of required information prevented Student from filing a timely IDEA complaint. a) After April 6, 2010, did District deny Student a FAPE by failing to conduct assessments in all areas of suspected disability? b) Did Student meet all legal requirements for a high school diploma when District graduated her with a high school diploma at the end of the 2009-2010 school year, thus terminating her right to receive special education services? c) Did District deny Student a substantive FAPE after April 6, 2010? 13 Nothing here precludes the parties and ALJ conducting the prehearing conference from determining that other issues may also exist. 1. Student shall be permitted to adjudicate claims from April 6, 2010 forward. 2. A telephonic prehearing conference shall be held on March 3, 2014, at 1:00 p.m. OAH will convene the prehearing conference. 3. A due process hearing shall commence on March 11, 2014, at 9:30 a.m., and continue day to day, Monday through Thursday at the discretion of the ALJ. 4. The parties may request further mediation by filing a written request with OAH. This is a final determination of the issue of the applicability of the statute of limitations in a bifurcated matter. Pursuant to California Education Code section 56507, subdivision (d), the hearing decision must indicate the extent to which each party has prevailed on each issue heard and decided. Here, Student partially prevailed on the issue presented, the tolling of the statute of limitations. District also partially prevailed because the statute was not tolled from the beginning of the 2009-2010 school year as requested by Student.